SeaDrone DEVELOPER offers an out-of-the box complete solution. 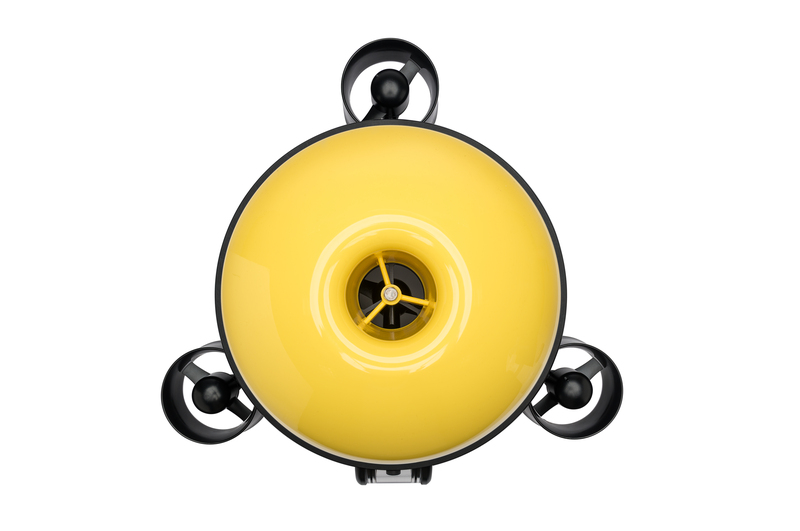 Weighing only 6 kg, SeaDrone can be easily carried and controlled by a single operator. Outfitted with 3 vertical thrusters and coupled with an advanced control system, SeaDrone Developer actively controls its pitch and roll for added stability and smooth gliding at higher speeds. Simply download our app and SeaDrone is ready to dive within seconds. Automated vehicle stabilization and integrated sensors allow for effortless and intuitive piloting. Capture HD video and document your inspection task with photos and audio notes stored and organized directly on the tablet interface. SeaDrone thrusters have been designed to be easy and affordable to replace. 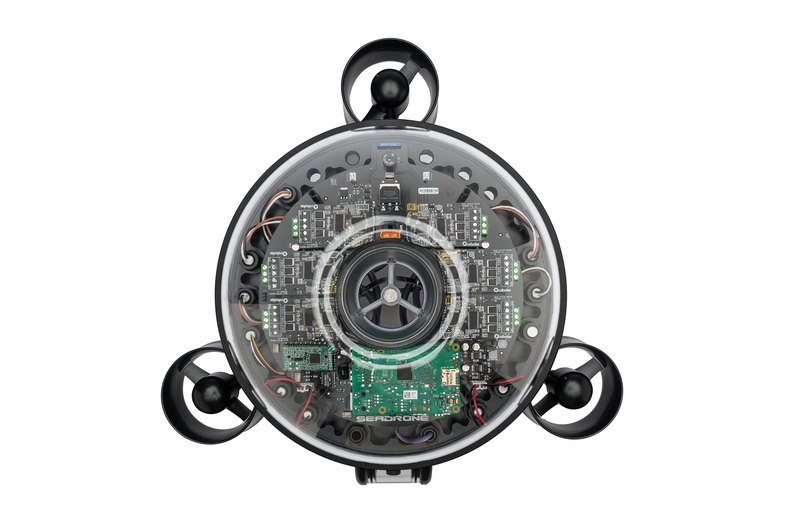 SeaDrone’s precise Auto Depth and Auto Heading system simplifies the vehicle’s control. 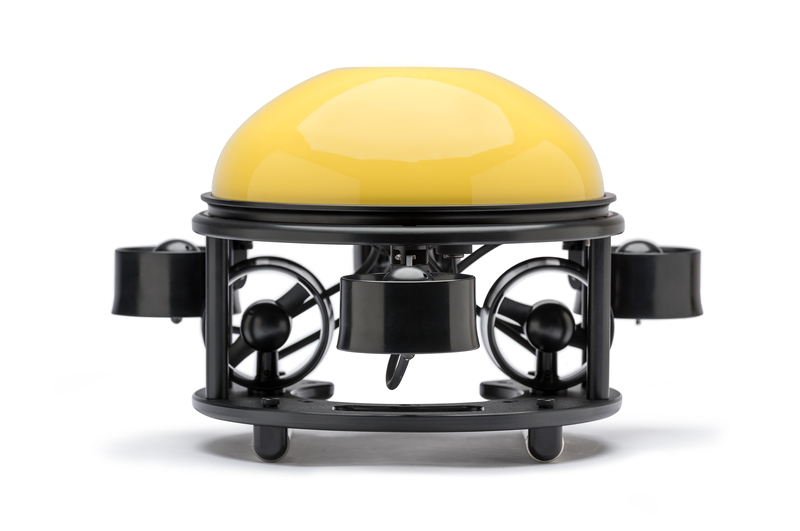 All Mission-Driven Packages fit within SeaDrone’s 12 inch diameter frame. 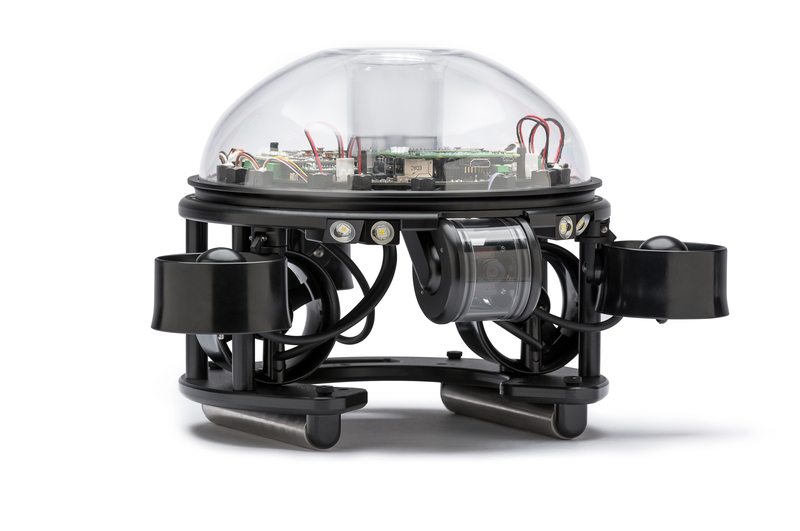 SeaDrone dynamically regulates the camera’s pitch angle to help reduce oscillations when piloting the robot and capturing footage. Our user studies show that on average operators using SeaDrone have 10x less control inputs to maneuver into position. SeaDrone Inspector comes ready to dive. Download the app, plug in the tether, and turn on the wifi router and robot and you are ready to go! Sub-sea ROV exploration, inspection, mapping and Stealth Aviation UAV services.